is the school where Nicholas teaches all levels and aspects of sugar art, cake decorating and cold porcelain. The International Sugar Art Collection, is the division that manufactures and distributes over 400 specialized tools and equipment used in creating sugar art and cakes. The school, offices and product distribution are located in Norcross, Georgia, just a few miles north of downtown Atlanta. As well as the school in Atlanta, Nicholas also has a sister school in Tokyo, Japan, and he spends his year teaching and traveling between the two locations, as well as special classes held at other schools throughout the United States and around the world. The International Sugar Art Collection was founded in 1992 by Nicholas with his business partner Scott Ewing. During classes with Nicholas Lodge, everything necessary to participate in the class is provided for you to use. You do not need to purchase or bring any tools or equipment with you. New products are available for purchase after the class, if interested. Chef Nicholas Lodge is one of the foremost Master Cake Artists in the world. He has been sharing his knowledge and skills through classes, books, and DVDs for over 35 years. When Nicholas began training as a pastry chef, he had no idea how far this path would eventually lead him. The field of sugar art has introduced him to royalty and celebrities, and has transported him around the globe. Nicholas was born in Essex, England, and became interested in cookery and cake decorating at an early age. When he was 10 years old, he designed his first cake for his parent’s anniversary. Upon leaving school, Nicholas worked in a bakery as a cake decorator to gain practical experience and commercial speed in decorating. He was then offered a position at The National Bakery School of England, located in London, where he completed a two-year course in cake decorating and design. After gaining distinctions in all his assignments and examinations, Nicholas received the award for the Most Outstanding Cake Decorating Student at his graduation. Moving rapidly to even higher achievements, Nicholas became Principal Wedding Cake Designer at Woodnutts, one of England's top sugar art schools. There he created cakes for high-end London hotels, including Claridges, The Ritz, and The Savoy. After two years at Woodnutts, at the young age of 21, Nicholas became the tutorial manager at Mary Ford's School in Bournemouth, another top sugar art school. During this time, Nicholas and a team of decorators were commissioned to do work for England's royal family and other celebrities. Most notably, this included one of the official wedding cakes for Lady Diana and Prince Charles in 1981. Nicholas later reproduced this royal wedding cake while the Prince and Princess of Wales toured Tokyo, Japan. Nicholas was also commissioned to create cakes for the Queen Mother’s 80th birthday and the christening of Prince Harry. In 1985, Nicholas wrote his first book, and as his reputation increased, additional books followed. Currently, Nicholas has written over a dozen books and produced numerous instructional DVDs. He has co-authored many books with other sugar artists, and has acted as an expert consultant to publishers of sugar art books written by other authors. In 1991, the state of Georgia became home to Nicholas after he relocated from the United Kingdom. He soon after became a naturalized citizen of the United States. Nicholas, and business partner Scott Ewing, founded The International Sugar Art Collection (ISAC) and The International School of Sugar and Confectionary Arts in 1992. The International School of Sugar and Confectionary Arts teaches all levels and aspects of sugar art and cake decorating; ISAC is the retail division that manufactures and distributes hundreds of specialized tools and equipment used in creating sugar art and cakes. The 4,000 square foot facility is home to the school, classrooms, offices, retail gallery, and internet product distribution. Located in Norcross, Georgia, ISAC is just a few miles north of downtown Atlanta. Nicholas also has a sister school in Tokyo, Japan. While at the Nicholas Lodge Sugar Art School Japan, Nicholas teaches many types of classes and is involved in training students at the Japanese Confectionery Schools. Nicholas is internationally known, not only for his incomparable skills in sugar art, but also for the quality of his demonstrations and classes. He inspires enthusiasm in every one of the students in attendance. 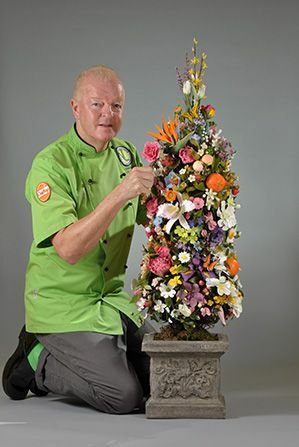 Over the years his teaching tours have taken him to 26 different countries, and he has introduced sugar art into unlikely places such as India, China and Fiji. Nicholas received an invitation from The White House in 1993 to participate in a Presidential Appointment on Internal Affairs. This appointment would have resulted in multiple trips to Washington, D.C. and the White House over the course of one year. Unfortunately, due to his previous teaching commitments, Nicholas was not able to accept this invitation from President Clinton's office. Nicholas also teaches special classes held at other schools throughout the United States and around the world. In the United States, Nicholas instructs classes at schools such as Johnson & Wales, Le Cordon Bleu, and the Art Institute. Nicholas considers one of his greatest honors to be invited to join the faculty of the prestigious French Pastry School in Chicago, Illinois. At the French Pastry School he teaches gumpaste techniques to students attending a 24-week program, as well as offering continuing education classes. In the fall of 2010, Nicholas became part of a teaching team in a new 16-week program at The French Pastry School. The new program, "L'Art du Gâteau," is geared for the professional cake decorator and sugar artist, ideal for someone with goals towards the professional marketplace. Beginning in November 2003 Nicholas was featured as a guest pastry chef at the EPCOT Food and Wine Festival, held at The Walt Disney World Resort in Orlando, Florida. Over 800 guests, dignitaries, and national media representatives were able to taste the cake Nicholas created for this special event. After participating in many subsequent EPCOT Food & Wine Events, Nicholas was invited to conduct a series of special classes for the pastry chefs of Walt Disney World. 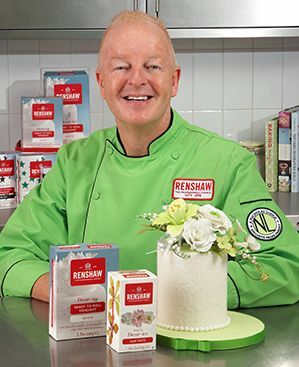 Currently Nicholas is the North American Brand Ambassador for Renshaw, a UK based manufacturer of rolled fondant and gumpaste. Nicholas first became involved with Renshaw over 30 years ago, in helping with the development of the first line of rolled fondant. When Renshaw made the decision to have a presence in the United States, it was only natural for Nicholas to be a part of the North American team, conducting product demonstrations and assisting with new product development. Renshaw is over 100 years old, beginning in 1898, and is the world’s oldest and largest manufacturer of rolled fondant. During his early years in the business Nicholas entered his share of competitions, winning numerous gold medals and grand prix de honor. He has been invited to display his sugar art on the table of honor at many exhibitions around the world. Nicholas is now involved with judging events, having passed on the torch to the younger generation of sugar artists. This path has led him to working with the Food Network as one of the original judges on the “Food Network Challenges,” associated with pastry, cakes and sugar arts. An annual event that Nicholas judges is the “National Gingerbread House Competition,” hosted by the Grove Park Inn, located in Asheville, North Carolina. Over 300 gingerbread creations from across the United States come to compete for the chance of becoming the national gingerbread house champion. Nicholas spends his spare time searching for new and innovative ideas that can be introduce and adapted into cakes and sugar art. Part of this inspiration comes from his love of gardening, fashion, and interior design.